For the kids we offer a special program to ensure that they will be put on properly fitting bikes throughout their youth. This will help them to learn faster and fall in love with their bikes. Kids grow, but their bikes won’t, so if you buy a youth bicycle here we will accept them back in good working condition as trade-ins, with the value being applied to the purchase of the next larger size bicycle. Kids are going to enjoy biking more if they have a quality bicycle that fits them, and won't fall apart while they are riding. 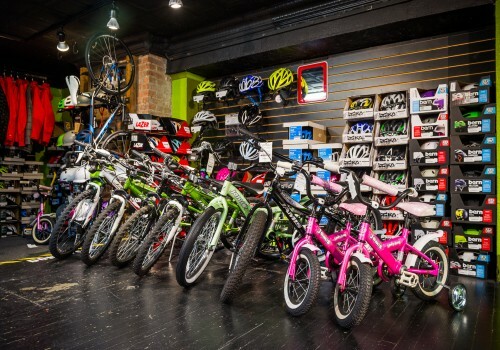 Many kids bikes found at big box stores are such poor quality that they will not last a single season, or will be expensive to fix because the parts on them will wear out quickly. The kids bikes we source from Jamis are excellent machines, will last many years, and will instill your child with a lifelong love of biking. Start them out right by getting them a bike they will love.